The Avg. Group Discount is 11.8%! A delightful condominium hotel located one block off the Strip between the MGM & Planet Hollywood. Each room features cable TV, pay-per-view movies and a fully equipped kitchenette. The hotel offers an outdoor pool & tennis court on site. Rates and availability subject to change until contracted with resort. 2 days prior to arrival. Located 3 miles from McCarran Internat'l Airport. 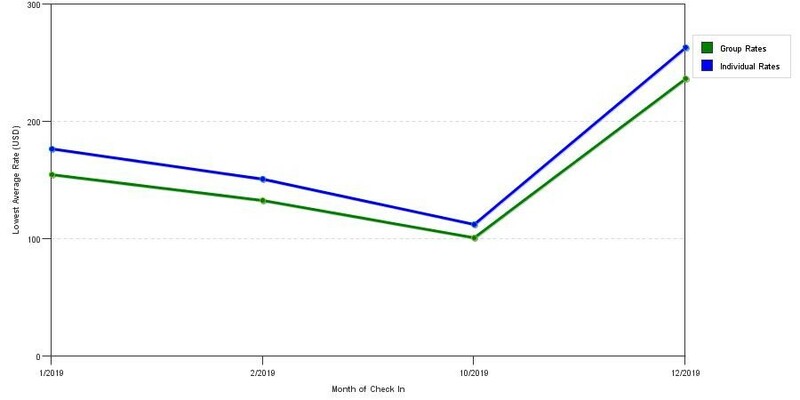 The graph above is fluctuations of room rates for both group prices and the lowest online individual prices our rate checker could find at the time the group bid was submitted. The lowest group discount displayed is 12.4% in the month of February 2019 and the highest average individual rate is $210 in the month of December 2018. This chart will show past seasonality and also project future months. 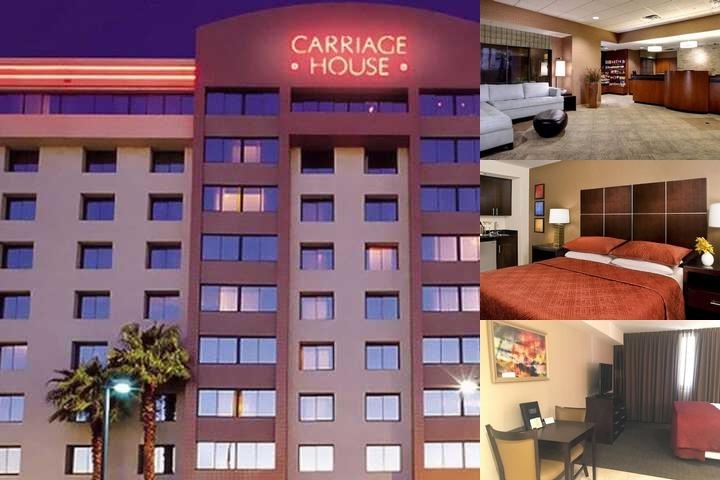 If you are flexible with dates, you may want to consider staying at The Carriage House by Diamond Resorts International in a month when rates are lower.